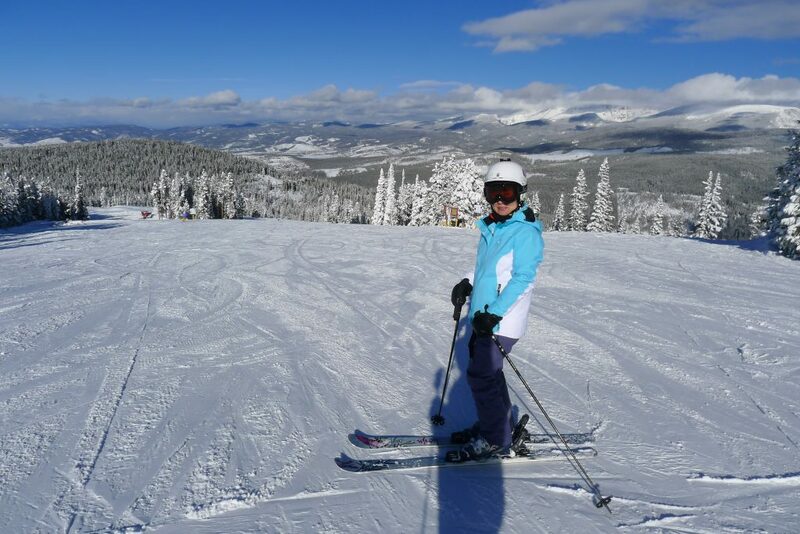 Winter Park is the longest continuously operated ski resort in Colorado starting in 1939. It was owned and operated by the city of Denver until 2002. Since then a lot of money has been invested and it’s really upped it’s game to the level of other major destination resorts in Colorado. 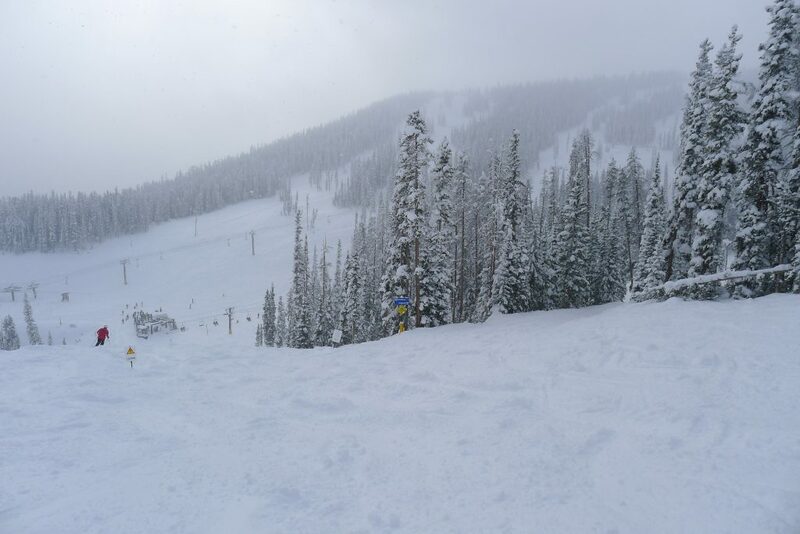 December 2014 was incredibly snowy in Summit County and the front range of Colorado. So it was a really bad decision to get another crappy rental car with all-season radials for this trip. We book well in advance so you never know what’s going to happen. Of course snow is always good, but it makes for some exciting driving, and the trip over Berthoud Pass from Denver is not something you really want to do in a compact sedan on a powder day. 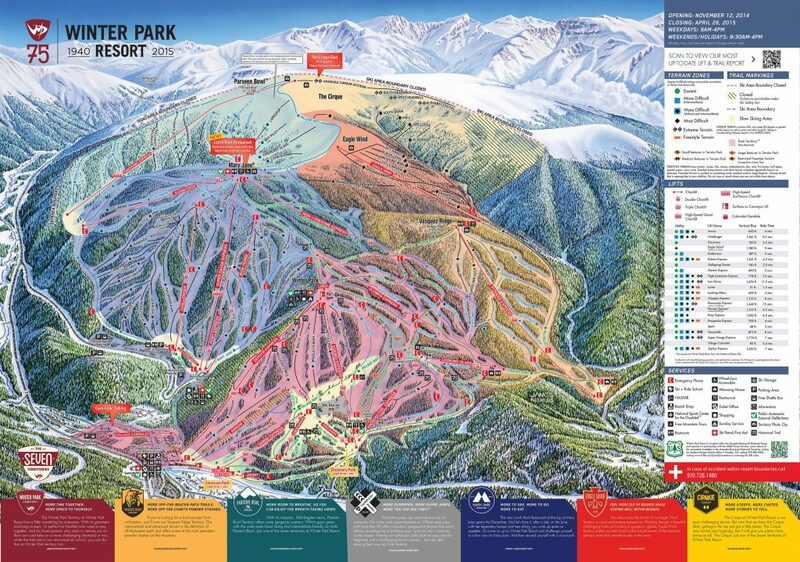 Because of Berthoud Pass, accessing Winter Park is not as easy as all of the other resorts in Summit County. With lots of wheel spin we made it though, and it was a pretty darn good powder day. 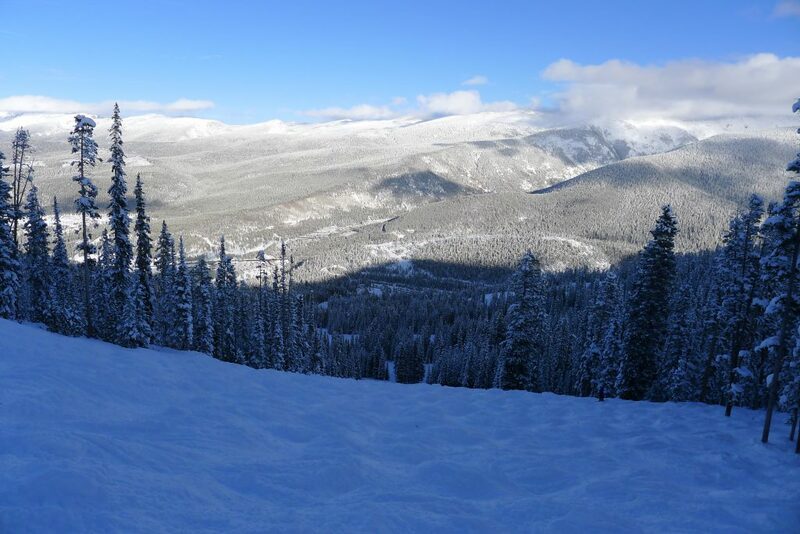 We really scored because on that particular day Winter Park got more snow than any other resort in Colorado. When the storms come in from the Northwest like that one did, it can happen. 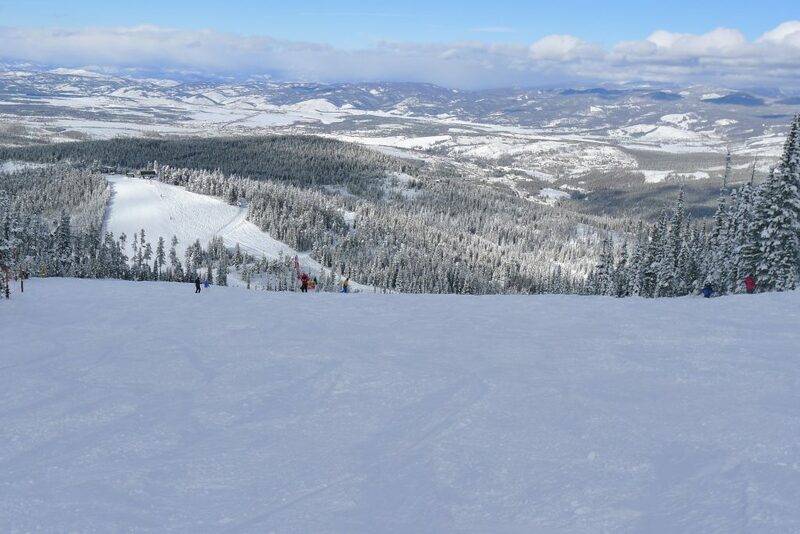 Winter Park has 2 distinct sides and we started on the Mary Jane side. 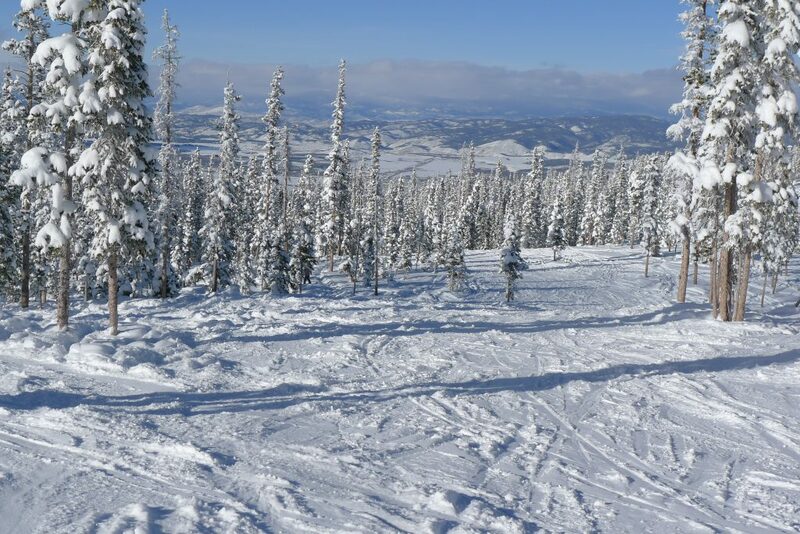 That’s where you will find long steep runs and it’s known for having lots of ungroomed bump runs and even some steeper short chutes. Since it was a powder day this was the best skiing of the day, but I got the feeling that on a non-powder day we would probably have wanted to stick to the groomers there because it bumps up fast, and they are the deep bumps that are just plain work. All of The Jane is served by a long six-pack express called the Super Gauge Express. 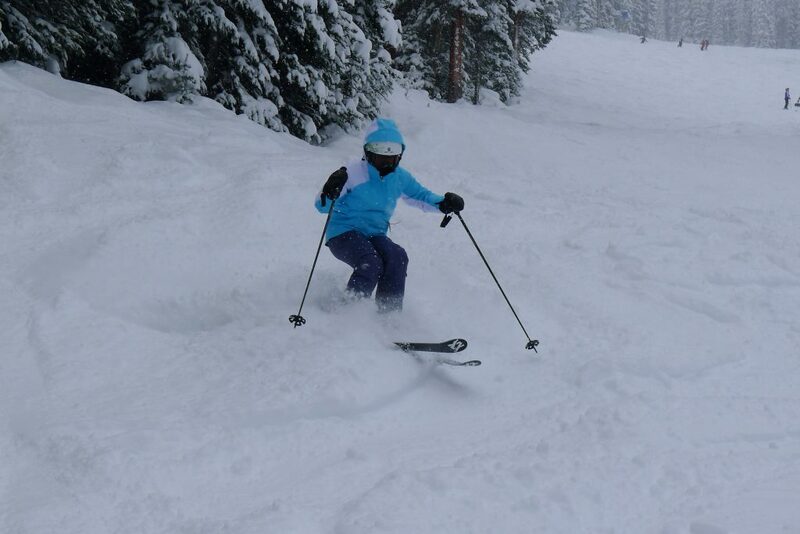 We took a number of runs there and then moved on to the Sunnyside triple which had some interesting blue runs. There weren’t really any cruisers because of the powder, but the lower angle stuff was definitely easier. We would have liked to have skied the Panoramic Express which takes you to the highest part of the mountain, but it was early season and even though there was plenty of snow it wasn’t open yet. Maybe next time. 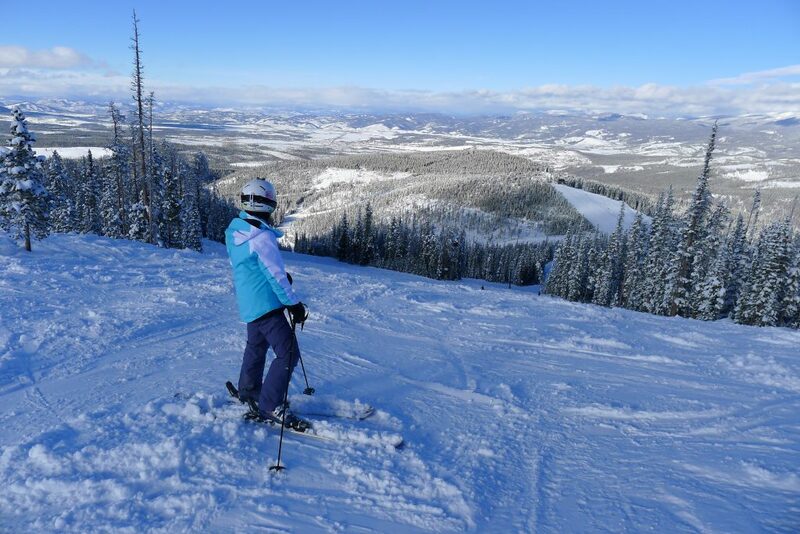 The lift accesses Parsenn Bowl and The Cirque which is high altitude bowl skiing and typically we would definitely check that out. We had lunch at a sit-down restaurant at Sunspot at the top of the Winter Park side of the resort which was quite good. After lunch we tried the various lifts and runs on that side of the resort. Unfortunately that side is really confusing and convoluted with several lifts that serve generally short runs broken up by roads and crossing trails. That’s what sometimes happens with ski hills that have evolved over decades, but this one is really the worst case of that and we didn’t spend much time there. Vasquez Ridge is a great protected pod that is much more recently developed and has some great terrain. Above that is the Eagle Wind triple and that was also closed but it looks like some good tree skiing can be had over there. 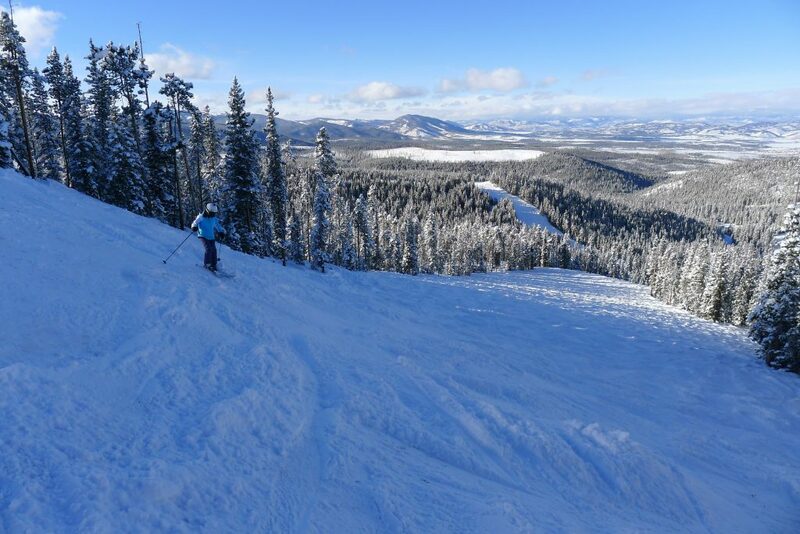 We would like to try Winter Park again when everything is open, but it’s a tough sell given that we aren’t really interested in the Winter Park side. However, I’ve heard good things about it from our friends Tyler and Bria who worked there for a season, so hopefully we will get back there someday.